(J. Scott Applewhite | AP file photo) In this March 6, 2019 file photo, Michael Cohen, President Donald Trump's former lawyer, returns to testify on Capitol Hill in Washington. 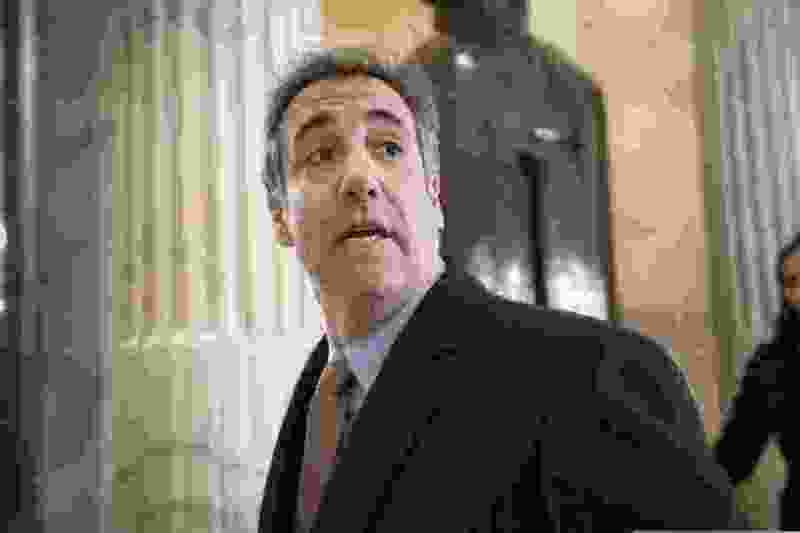 Prosecutors are scheduled to publicly release documents on Tuesday, March 19, 2019 related to the search warrant that authorized last year's FBI raids on Cohen's home and office in New York. Washington • Special counsel Robert Mueller obtained court-approved warrants to search the emails of President Donald Trump’s lawyer Michael Cohen in July 2017, according to newly unsealed documents illustrating how the investigation moved quickly and quietly to scour the digital trails of the president’s associates. "In connection with an investigation then being conducted by the Office of the Special Counsel ("SCO"), the FBI sought and obtained from the Honorable Beryl Howell, Chief United States District Judge for the District of Columbia, three search warrants for emails and other content information associated with two email accounts used by Cohen, and one search warrant for stored content associated with an iCloud account used by Cohen," states one of the newly-unsealed affidavits. Cohen's home, office, and hotel room were searched nearly a year ago as the FBI ratcheted up its investigation of the lawyer's finances, and his work on behalf of Trump. That same day agents also executed a search warrant for a safe-deposit box used by Cohen. The searches set off a protracted legal battle over how the files of Cohen, an attorney, would be reviewed by agents and prosecutors. A federal judge appointed an outside lawyer to review the material before Cohen's prosecutors to exclude any material that was covered by lawyer-client privilege or otherwise should not be shared with investigators. Cohen also pleaded guilty to lying to Congress in statements that concealed the true time frame in which he had sought a real estate development deal for a Trump Tower in Moscow - conversations that continued, contrary to initial claims, well into the Republican presidential primary. Cohen cooperated — partially — with federal prosecutors in New York, as well as special counsel Robert Mueller, in hopes of reducing the amount of prison time he would have to serve.